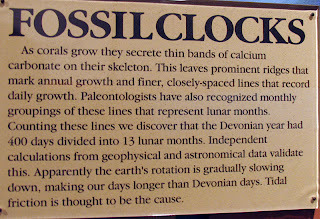 The Falls of the Ohio State Park located on the bank of the Ohio River in Clarksville, Indiana, has an interesting display called Fossil Clocks. A picture below shows the text hanging on the wall in their interpretive center. Basically, it informs the reader that corals produce bands or growth lines of calcium carbonate to form their skeleton. 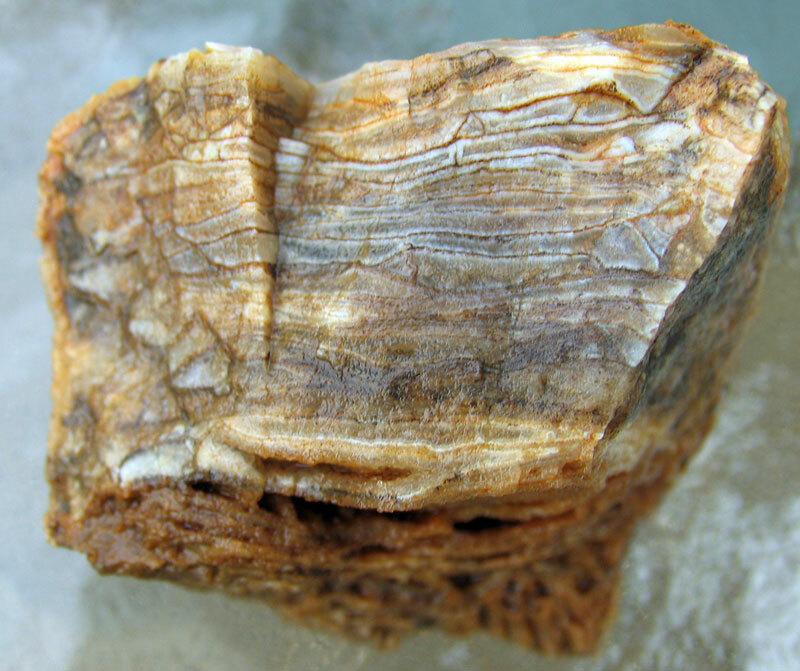 Looking at the fossils one can see ridges showing annual growth with finely spaced lines recording daily growth. Researchers determined these clusters of these lines represent lunar months. 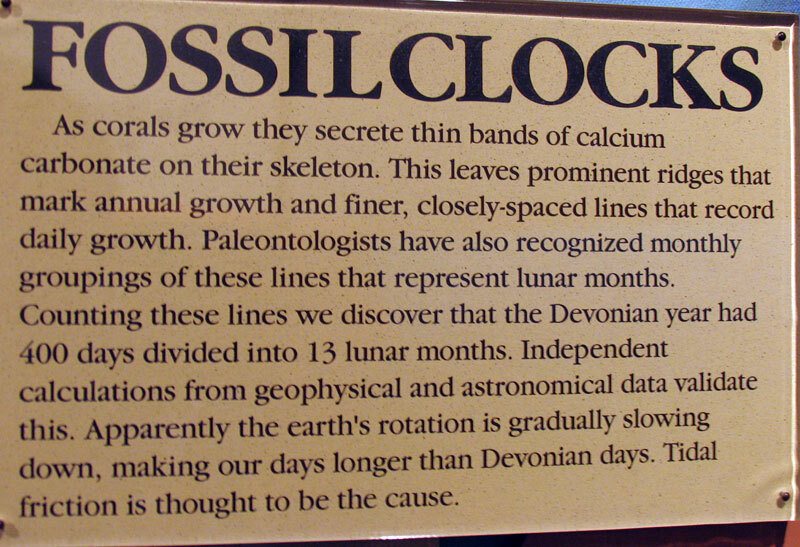 They found out a Devonian year had 13 lunar months that added up to 400 days. This information tells us that friction maybe slowing the Earth's rotation giving us a current year with approximately 364 days. 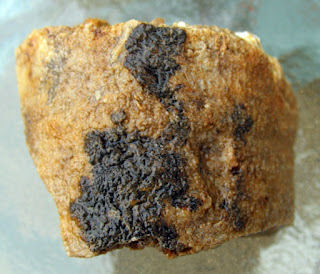 Picture above is of an Siphonophrentis elongata horn coral fossil fragment from the Jeffersonville Limestone. It existed in the Devonian Period and was found in Clark County, Indiana. This horn could grow to over 60 cm long. 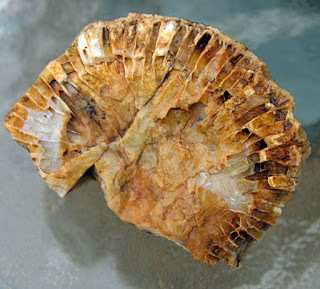 Here is another side of the horn coral pictured earlier. 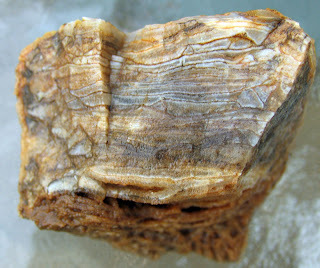 When I saw this cross-section of growth lines, it reminded me of the state park display. This is a picture of the horn coral cross section on display at the Falls of the Ohio State Park. 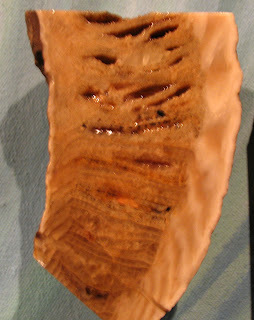 Obviously, it has been cut and polished to highlight the growth segments. 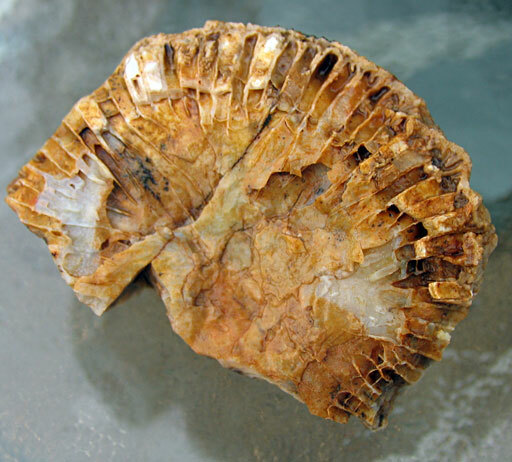 The genus and species were not listed for this fossil. 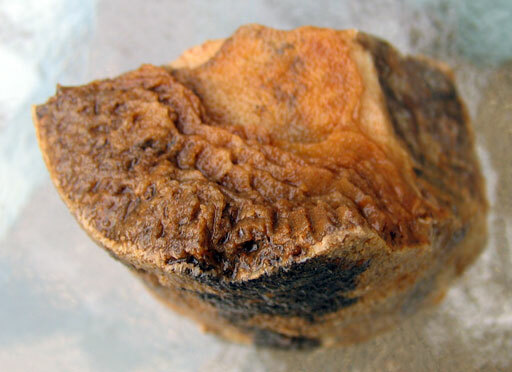 The last two pictures show the outer wall of the S. elongata horn coral shown earlier and the last picture is of the bottom of the fragment showing part of the septa.